Entered on November 9, 2011 by admin No Comments. You might think you need to know all the technical details about Web Hosting. It is simpler than you might think. To get you started, here is a 5 Part video on How To Find The Right Web Hosting Service. It starts with choosing a domain registrar to register the domain name you want. You can do this a domain registrar or through your web hosting provider. If you are serious about building your own website, at the least you should get your own domain name and shared hosting. 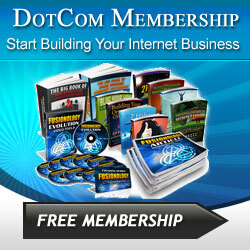 It is not going to cost you more than $10 a month and could potential build an income for you. You could go and get a free blog at wordpress.com, so you can see what wordpress looks like on the backend. If you can type an email, you can publish a post. Like any business, there are certain skills you have to learn. Internet marketing is simple, not necessary easy. But it can be rewarding. I do not know of any other business you can start for less than $10 a month.